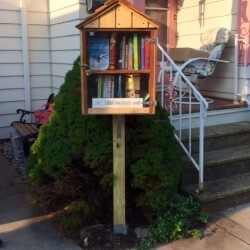 Little Free Library # 16507 located in Kenmore, New York. See what's in our collection and what our neighbors are reading in the community! View our card catalog to your right to browse books currently in circulation within our library. Our card catalog is updated once a week.